When characters are not what they seem… I seriously did not see that twist coming. I know some of you guessed it right off, but I was clueless at first. I’ll admit, I am not great at picking up on the hints that authors leave early on in the plot. Wow. Locke is good. Two murders that happened decades apart and just happen to be creepily related to each other. I couldn’t put this down. This is a world divided by blood – red or silver. The Reds are commoners, ruled by a Silver elite in possession of god-like superpowers. Mare Barrow, a red, suddenly discovers she has silver powers and gets thrown in a dangerous world of lies and betrayal. I can’t even say anything about this without totally giving the twist away. Just trust me… it’ll get you right in the gut. My disease is as rare as it is famous. Basically, I’m allergic to the world. I don’t leave my house, have not left my house in seventeen years. But then one day, a moving truck arrives next door. I look out my window, and I see him. Oh man. My heart is still on fire after this one. I listened to it on audio, otherwise I would have thrown the book at the wall. 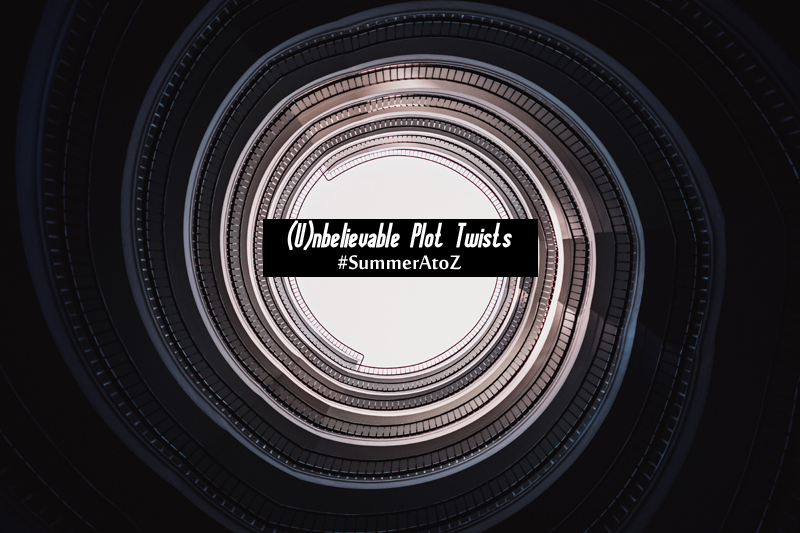 I love a good plot twist…something that totally throws me off and makes me just stop and think ‘what the actual hell just happened?’ What about you? Can a plot twist make or break a book for you? A plot twist makes a book more intriguing for me. Glad you posted some new book recommendations for me! You’re welcome! Hope you find one you like.